During the 1960s, as manual and electric toothbrush designs proliferated and top manufacturers escalated their competitive advertising, some smaller companies were rethinking proper oral hygiene. 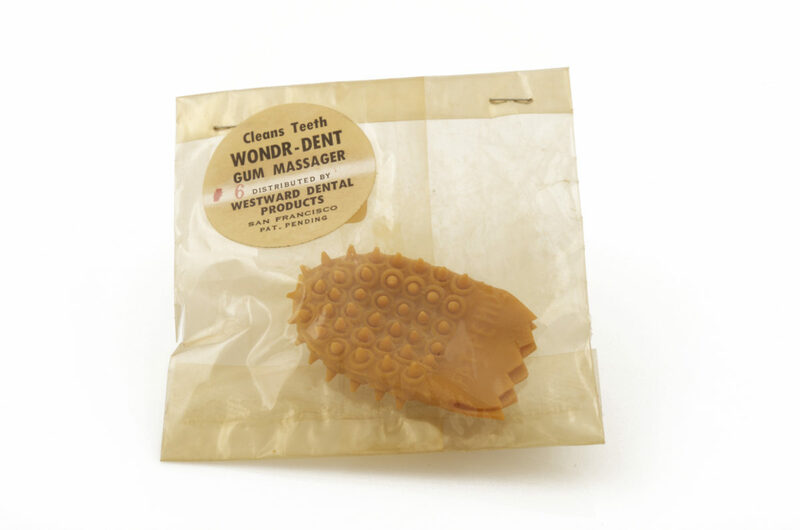 In 1962, Westward Dental Products of San Francisco produced the Wondr-Dent Gum Massager aimed at promoting healthy gums and clean teeth through massage. Patented by periodontist Dr. A.W. Ward, the thin flexible rubber finger cot would function to “dislodge food parts and also to contact gingiva between the teeth so that it may be stimulated to bring a fresh blood supply to the area.” He asserted that the pointed protuberances, reinforced at their bases by a circular spring, would be rigid but flexible and maintain a “liveness” essential for maintaining healthy gums and teeth. Ward, AW Tooth Cleaning and Gum Instrumentality. Patent 3043295. 10 July 1962. Print. The Wondr-Dent Gum Massager, shown here (A451.8) in its original cellphone envelope, was made in San Francisco by Westward Dental Products. In 1962, periodontist A.W. 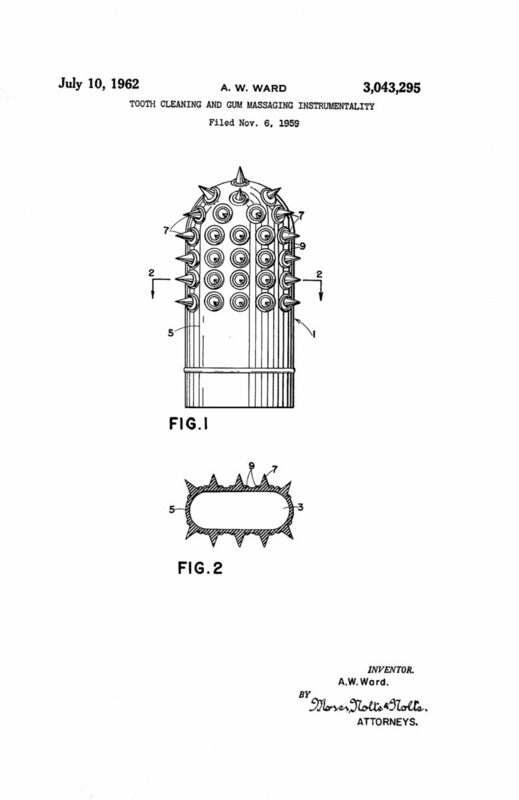 Ward patented his alternative to the toothbrush — a finger cot efficient at cleaning teeth and massaging gums.